Impressive frank is that Phenom II under water? My system stock clocked GTX280, if overclocked would easily break 20K with better cooling and EVGA voltune. 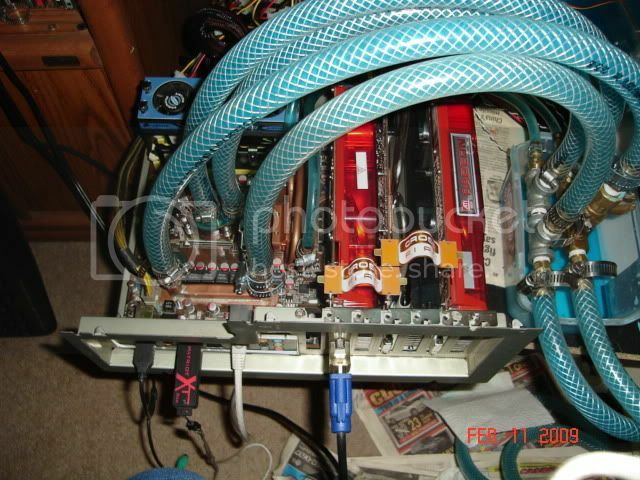 I'll be knocking on your door of your 3x4870 with just a single GPU soon enough. As to knocking on my door, the only way a single 280 could catch me if you ratchet that Q9550 over 4.75 GHz. That's a stable speed to, my daily clocks. Benchmarks what benchmarks thats quite the rig you have there. Just out curiosity what does 1 4870 drop you to? Last edited by Frank Encruncher; February 11, 2009 at 09:36 PM. I'd actually like to compare 2x4870 on my setup. You think it would be about the same? 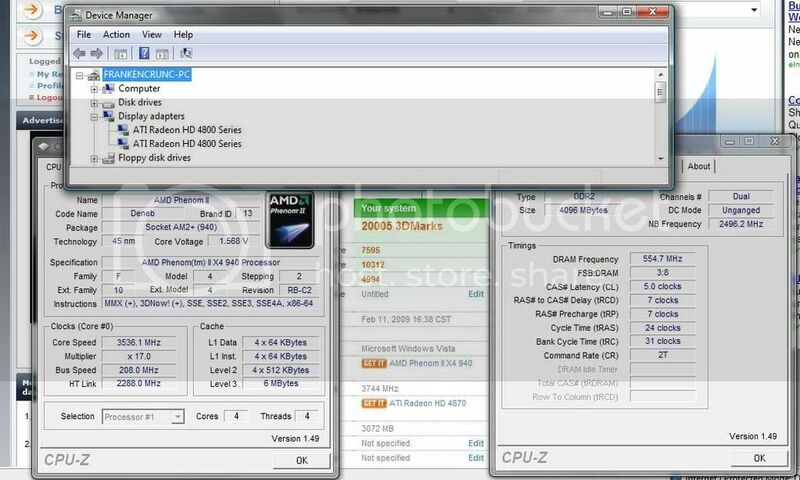 I'm curious what my 4870's what do on an Intel setup also . Even though it's watercooled, I'd be worried about the board going up in smoke if I tried to push it.